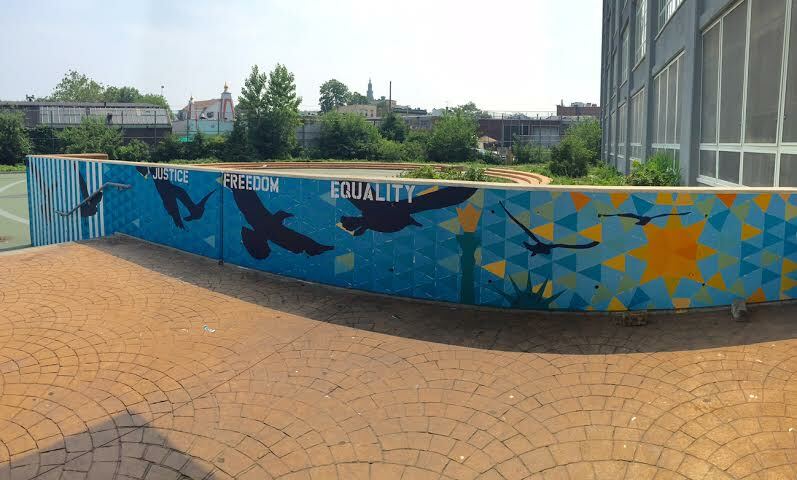 The core group of eight students who created the mural were in an art class that was part of a special program that worked with Art and Resistance Through Education (ARTE), a non-profit organization that teaches young people about human rights through art. In their daily ARTE classes over the semester, they discussed many pressing human rights issues from child labor to human trafficking and practiced different creative mediums to make art to express their ideas and discover new ways to promote awareness of those topics. 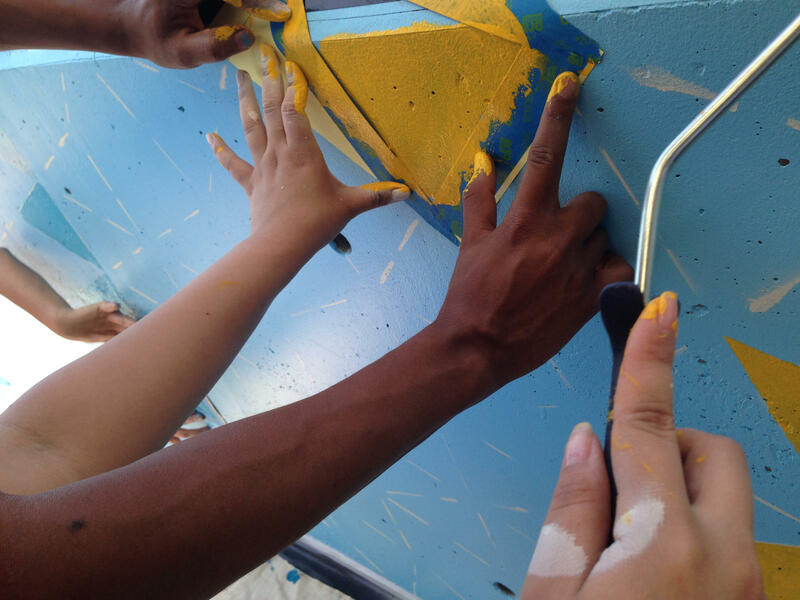 Along with creating art with important messages, the ARTE students at Pan Am discovered ways that they could take their work further through advocacy and the idea of artivism (art and activism). They learned about infographics as an important visual design tool for conveying information, and created one together that detailed facts about their topic that they found particularly striking to be distributed at their final event. With help from Amnesty International USA, the students identified Amnesty’s Stop Arbitrary Detention action as an opportunity to support their work. This was many of the students’ first experience with advocacy, and they gathered over 50 signatures for the petition calling on President Obama to stop the use of detention against families fleeing violence in Central America. One student, Miriam, expressed that it felt good to “make people get together and fight for it [immigrant rights] because a lot of people had that problem,” speaking of those in her community and across the country who have struggled with discrimination and have had their rights violated. 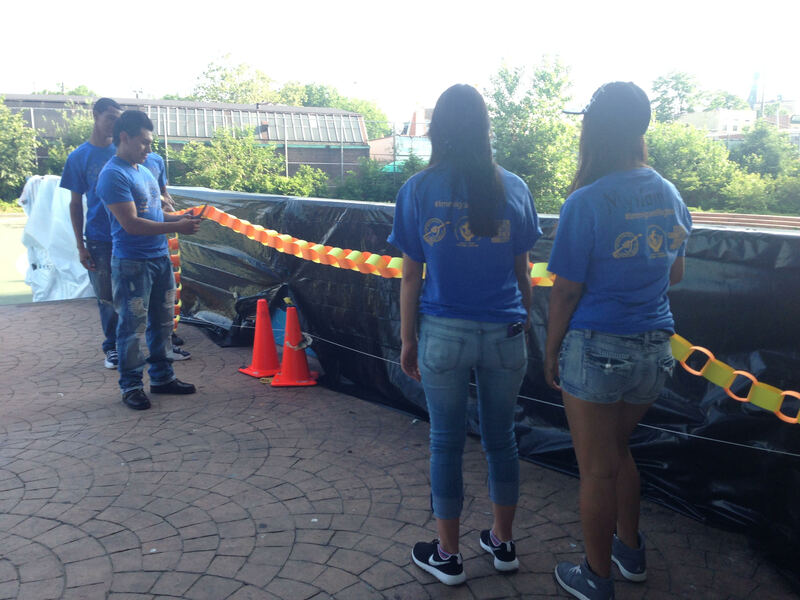 For many of the Pan Am ARTE students, it was the first time they had ever participated in a mural project or thought of art as a medium for advocacy and spreading a message. 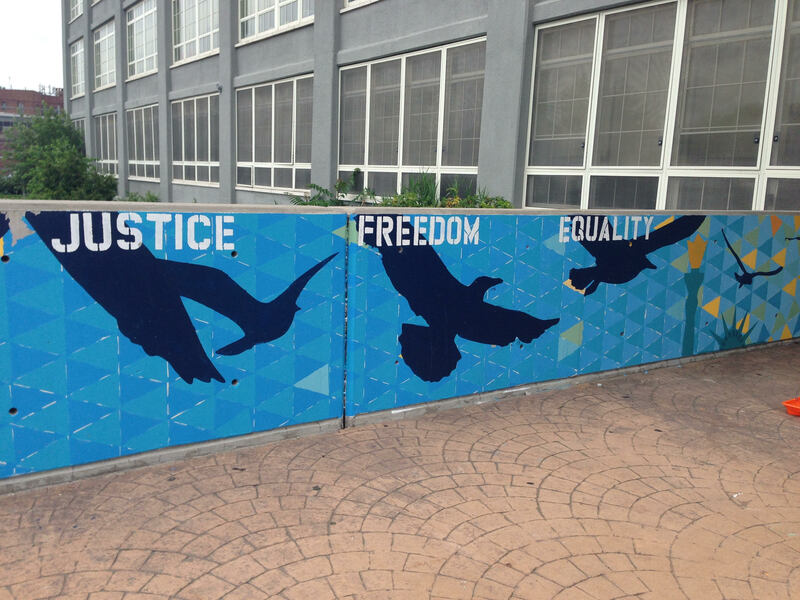 Now they feel equipped to teach others about the topics they studied and are proud that each time someone passes by their piece of art, they will be reminded of its message of human rights and justice. For more information on ARTE, please visit our website at www.artejustice.org. If you would like to add your support to stop arbitrary detention here. Michaela Miragliotta is a graduate of the University of Massachusetts Amherst and works to develop curriculum and facilitate workshops for Art and Resistance Through Education (ARTE). Marissa Gutiérrez-Vicario, based out of New York City, is the Founder and Executive Director of Art and Resistance Through Education (ARTE). This entry was posted in Amnesty Members, Music and the Arts, USA and tagged art, human rights, Immigrant, immigrant rights, Immigration Detention, New York City, Queens, student activism, united states by Guest Writer. Bookmark the permalink. 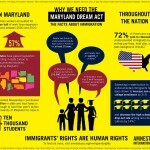 A Big Chance for Immigrant Students in Maryland? I can not wait to visit this site, basically sharing about educational methods and topics always with custom term paper writing.Generating for the great college paper services and educational methods always for the essay topics. I agree with the fact that art can be a catalyst for change. We have personally created various residential as well as commercial areas. At present, at Nick's Inground Pools in http://www.elkhartpools.com/, we are focussing on designing and maintaining pools for people in Elkhart.